Revelation Chapter 4 High resolution art and images of the Throne of God in Heaven, the four and twenty elders, the four Beasts around the Throne. 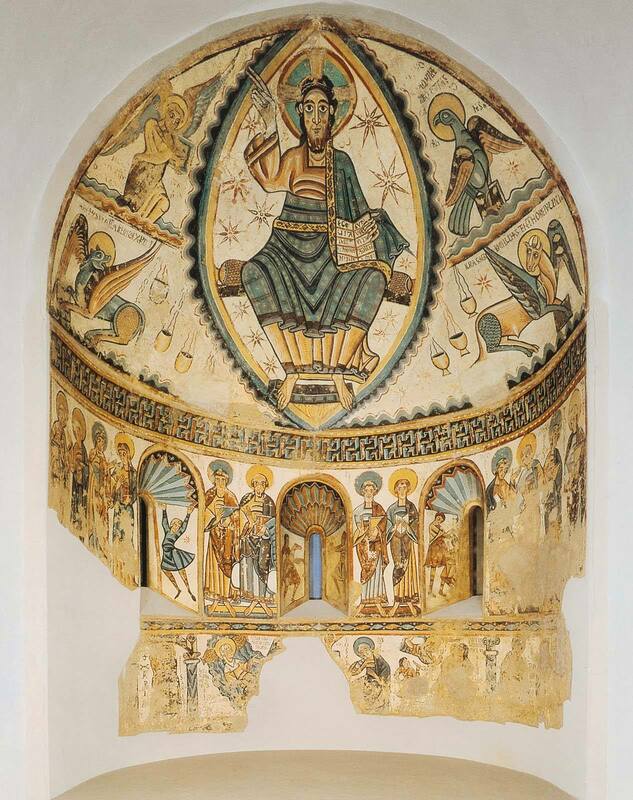 the Seven Spirits of God. and Casting Crowns. Images from the Book of Revelation searchable by Bible verse. Free Bible art and lessons from the Revelation of Jesus Christ for all ages. 1 After this I looked, and, behold, a door was opened in heaven: and the first voice which I heard was as it were of a trumpet talking with me; which said, Come up hither, and I will show thee things which must be hereafter. 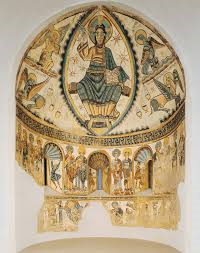 2 And immediately I was in the spirit: and, behold, a throne was set in heaven, and one sat on the throne. 3 And he that sat was to look upon like a jasper and a sardine stone: and there was a rainbow round about the throne, in sight like unto an emerald. 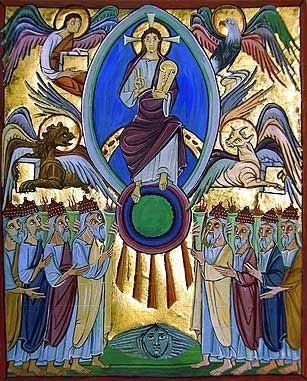 4 And round about the throne were four and twenty seats: and upon the seats I saw four and twenty elders sitting, clothed in white raiment; and they had on their heads crowns of gold. 7 And the first beast was like a lion, and the second beast like a calf, and the third beast had a face as a man, and the fourth beast was like a flying eagle. 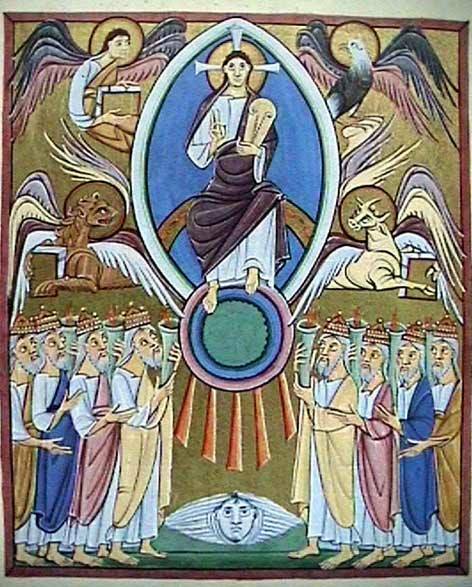 8 And the four beasts had each of them six wings about him; and they were full of eyes within: and they rest not day and night, saying, Holy, holy, holy, LORD God Almighty, which was, and is, and is to come. 11 Thou art worthy, O Lord, to receive glory and honor and power: for thou hast created all things, and for thy pleasure they are and were created.